The Chattanooga shooting suspect spent seven months in Jordan last year, according to intelligence sources cited in U.S. media. Before the Jordan visit in 2014, Mohammad Youssuf Abdulazeez had reportedly visited the country four other times. Investigators are trying to determine if he made contact with any extremist groups while he was there. At a press conference in Chattanooga Friday, FBI special agent in charge Ed Reinhold said the FBI is exploring all the travel done by Abdulazeez. "We have asked our intelligence partners throughout the world to provide us with any information they may have" regarding his travel and activities. 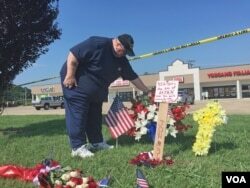 Reinhold said it is "premature to speculate" about why gunman Abdulazeez killed four Marines and wounded several other people at two military centers Thursday. He added that Abdulazeez was known to have traveled outside the U.S., but he did not elaborate. Speaking to reporters Friday, Congressman Michael McCaul, Chairman of the House Homeland Security Committee, said he believes the shooting was an Islamic State inspired attack. Republican Congressman Peter King from New York, and chairman of the Chairman of the House Committee on Homeland Security, also called it an Islamic State inspired attack. ​General Ray Odierno, Army chief of staff has told reporters in a roundtable Friday that the Army is reviewing security at military recruiting centers. He said it was too soon to say whether the facilities need security guards or other protection, and he warned that arming troops in those offices could cause more problems than it might solve. The four Marines killed in the Chattanooga shooting rampage were medal winners and veterans of the wars in Iraq and Afghanistan, the Marine Corps said Friday. --Gunnery Sgt. Thomas J. Sullivan of Hampden, Massachusetts, was deployed twice during the Iraq War and had received two Purple Hearts. --Staff Sgt. David A. Wyatt of Burke, North Carolina, served in both Iraq and Afghanistan, and currently lived in Hixon, Tennessee, outside Chattanooga. Hixon was also the home of Abdulazeez. --Sgt. Carson A. Holmquist of Polk, Wisconsin, had been deployed to Afghanistan. --Lance Cpl. Squire K. ``Skip'' Wells of Cobb County, Georgia, was the youngest victim at 21 and had been a Marine for only a little more than a year. Authorities say the gunman initially opened fire in a drive-by shooting at a military recruiting center at a shopping mall where five branches of the military have adjoining offices. The U.S. Defense Department says 25 to 30 shots were fired and one Marine Corps recruiter suffered a leg wound. He was treated at a local hospital and released. The gunman next drove about 10 kilometers to the Navy Operational Support Center (NOSC) where witnesses say he unleashed a barrage of gunfire. The four Marines were killed at that center, and a sailor was seriously wounded. Police Chief Fred Fletcher said Friday his police force responded with a "breathtaking example of everyday courage" after reports of shooting at the first location came in. Police caught up with the suspect at the second location and engaged the gunman. When police officer Dennis Pedigo was hit, Fletcher said his fellow officers grabbed him and dragged him "out from under the gunfire" at great personal risk. Pedigo is still undergoing treatment at a local hospital. Fletcher said, he had no doubt, that his police officers, who killed the suspect, "prevented loss of life yesterday." He said that off duty police officers, who heard about the shooting, threw on their uniforms and came out to help their fellow officers. The Islamic Society of Greater Chattanooga (ISGC), canceled all activities to celebrate Eid Friday. Reportedly the suspect worshipped at ISGC. Born in Kuwait, 24-year-old Abdulazeez was a naturalized U.S. citizen. 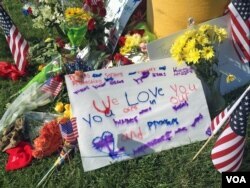 He was a high school wrestler with a degree in engineering from the University of Tennessee in Chattanooga. "He was friendly, funny, kind," Kagan Wagner told the newspaper. "I never would have thought it would be him. "They were your average Chattanooga family," she added. The New York Times is reporting that Abdulazeez's father was under investigation several years ago for possible ties to a foreign terrorist organization.